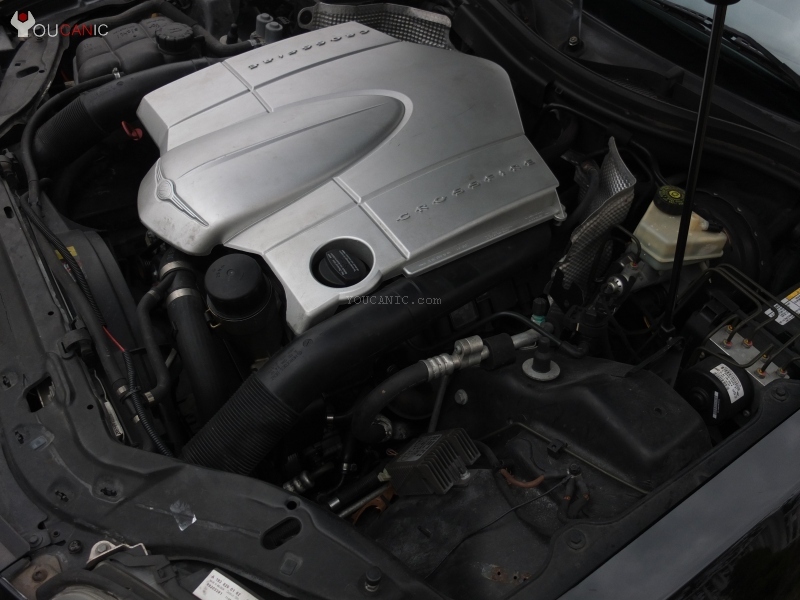 Learn how to check and add brake fluid level on 2004-2008 Chrysler Crossfire. These instructions apply to Crossfire, production years 2004 2005 2006 2007 2008. Only add brake fluid type noted on the cap of your Crossfire's brake fluid reservoir or owners manual. Below you will find step by step directions and video clips to help you check or add brake fluid to your Crossfire. 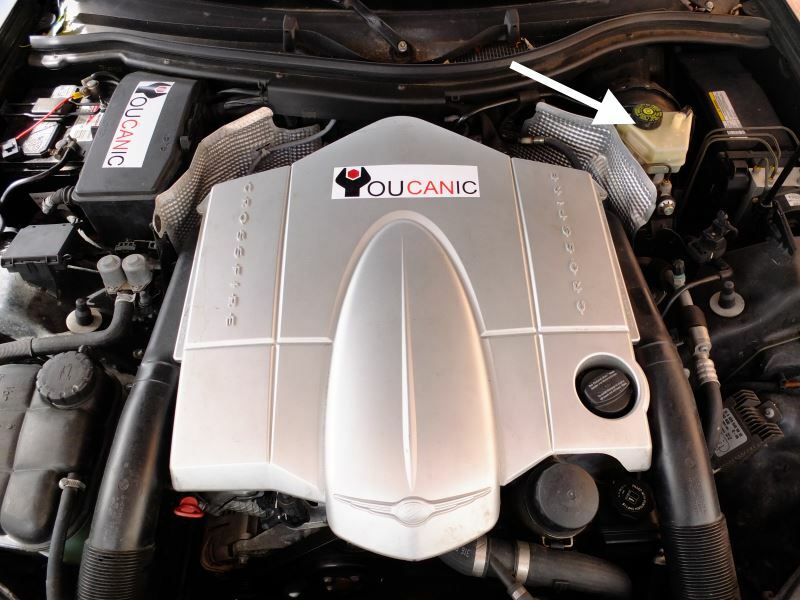 Open the hood of your Chrysler Crossfire by pulling the hood release under the dashboard. Locate the brake fluid reservoir on driver's side, towards the back of the engine. Clean the brake fluid reservoir with clean cloth. Check brake fluid level on Chrysler Crossfire. Determine the brake fluid level by looking at the maximum and minimum marks on the side of the reservoir. If the level is below the minimum level, remove the cap by turning it counter-clockwise. Add the brake fluid until the level reaches just below the MAX mark. Do not drive a vehicle that has the brake light on. If the brake fluid level is below the minimum or MIN mark on the brake fluid reservoir, do no drive the car. Check the system for any major brake fluid leaks. Driving with no brake fluid is extremely dangerous. Your car may not stop when you apply the brakes. Brake fluid is poisonous and must be carefully marked and stored in a safe place, out of the reach of children and animals. Clean the brake fluid cap with a clean cloth before you remove the cap. Do not allow the brake fluid to drop on your car's paint. Brake fluid can damage car paint. Only use the recommended brake fluid type which is printed on top of the brake fluid cap. Wash your hands as soon as possible if you get brake fluid on them. If the brake fluid level is low, the BRAKE and ABS (Anti-lock Braking System) warning light may turn on. It is recommended that you check the brake fluid level once a month. When the ignition is on, the brake light is initially ON if you have set the parking/emergency brakes. The brake warning should turn off once the parking brake is released and you start to drive. If the LOW BRAKE FLUID warning or the BRAKE LIGHT stay on as you are driving stop the vehicle immediately and check the brake fluid level.